Congo in Harlem 6 presents an exciting collection of fiction, documentary and animated films in addition to special panel presentations, art and music. We will be updating the program regularly with more event details and information on special guests who will be in attendance. All events take place at Maysles Cinema unless otherwise noted. Tickets to individual events may be purchased by clicking the links below. You may also purchase a full series pass which grants access to all films and events throughout Congo in Harlem. At all events, ticket holders will have a chance to win special treats from Theo Chocolate! Emergent technology is rapidly changing the landscape of journalism as we know it. The past decade has seen explosive growth in new digital media outlets, the cultivation of new forms of storytelling, and a movement toward niche coverage. With all these developments, the future of journalism around traditionally underreported stories, such as the crisis in the Democratic Republic of Congo, has never been brighter -- or has it? Congo in Harlem, in collaboration with the Columbia School of Journalism, will convene a diverse panel of journalists and scholars to discuss the current state of journalism in DR Congo. The conversation will unpack the challenges and constraints journalists face in getting their stories out, as well as explore the new possibilities that digital media has to offer, with the aim of arriving at a more nuanced understanding of the forces at play in shaping current media representations of Congo and its people. This is a free event! Please arrive at least 15 minutes prior to event start time to secure a seat. 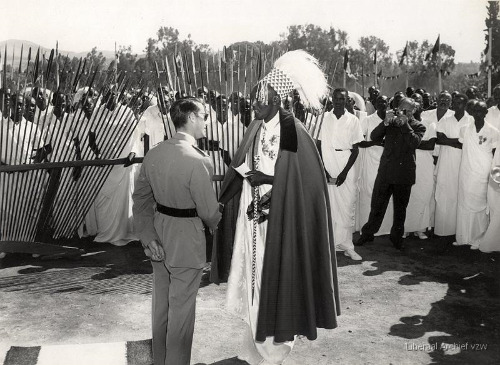 In 1955, just five years before Congolese independence, King Baudouin of Belgium paid his first visit to his nation's prized colony. Belgian filmmaker André Cauvin was enlisted to document the trip, and from this material created Bwana Kitoko (translated from Swahili as "Handsome Man"), a propaganda film that is at once a naked portrayal of colonial exploitation, and a valuable source of insight into the forces that have shaped life in Congo today. A lively collection of 8 kid-friendly animated films, created by young artists from the Democratic Republic of Congo, Rwanda, Burundi, and Congo-Brazzaville, under the supervision of legendary Congolese filmmaker/animator Jean Michel Kibushi. A central issue of concern to the Congolese populace at large is the transition from the current government to a new one in 2016. President Joseph Kabila's second term in office will expire in December 2016 and per the Congolese constitution, he is not permitted to run for a third term. His political party has signaled that they will seek to change the constitution in order to allow Kabila to run again. Congolese civil society, youth, faith leaders and opposition forces have called for Kabila and his political party to respect the country's constitution. In addition, the United States via Secretary of State, John Kerry and Special Envoy to the Great Lakes Region Russ Feingold has called on Kabila to step down at the conclusion of his second term and organize elections to usher in a new government and peaceful transition. A key component of the Peace Framework established by the United Nations and 11 African countries to advance peace in the Congo calls for the Kinshasa government to subscribe to the principles of good governance, which entail respecting Congo's constitution. Congo in Harlem has gathered a panel of experts to discuss Congo's prospects for a peaceful democratic transition in 2016. Please note that seating is extremely limited and only available on a first come first served basis. RSVPs will be taken until 2PM, but do not guarantee seating as you must arrive at least 15 minutes early to claim a seat. A waiting list will be opened at the cinema beginning at 2PM and any remaining available seating will be opened to the list at that time. There will be a simulcast room available for overflow seating.